15 year old Tiger Lily, proud and fierce, wild and misunderstood, doesn't believe in love stories or happy endings. Then she meets the teenage Peter Pan in the forbidden woods of Neverland, and immediately falls under his spell. Peter is unlike anyone she's ever known. Impetuous and brave, big-hearted but hard to reach, he both scares and enthralls her. As the leader of the Lost Boys, the most fearsome of Neverland's inhabitants, Peter is an unthinkable match for Tiger Lily. Soon, she is risking everything - her family, her future - to be with the haunted, hunted, courageous boy who loves her. When - as a punishment for her rebellious ways - she is faced with marriage to a terrible man in her own tribe, she must choose between the life she's always known and running away to an uncertain future with Peter. With enemies threatening to tear them apart, the lovers seem doomed. But it's the arrival of Wendy Darling, an English girl who's everything Tiger Lily is not, that leads Tiger Lily to discover that the most dangerous enemies can live inside even the most loyal and loving heart. 1. 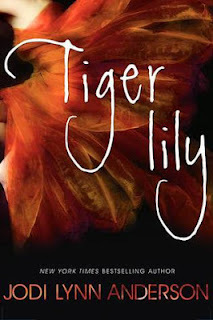 (+/-) Tiger Lily, the protagonist - I appreciated her stubbornness, loyalty, wildness, heart, and strength but often I felt distanced from her, didn't understand her emotions. Part of this was because of the narration--It's first person from Tinkerbell's perspective, and she, due to her fairy powers, has the ability to read people--and how I didn't get to really know things from her perspective, and part of it was because Tiger Lily often did the opposite of what I'd expect. I felt like I was going in mazes with her, even though I had grown to admire her for her personality. 2. (+/-) Tinkerbell, the narrator - On one hand, Tinker Bell makes for an adorable narrator. Her comments about fairy life and loving Peter were pretty amusing. On the other hand, it was really distracting to the story. Yeah, it allowed for us to see the pirates, the lost boys, and the Sky Eaters, but sometimes I'd be reading about Pan and Tiger Lily and would be immersed in what they were saying when Tinker Bell interrupted with one of her comments. Her switch from past to present were jarring and often hard to swallow when I was trying to picture this story. 3. (+) World-building - I really liked the customs of the Sky Eaters, the way Neverland was so wild and magical (even though it's not actually magical except for the non-aging part of it). I loved that there was bi-gendered shaman, Tik Tok, and that he refused to give up who he was in face of the Englander threat. I loved all the Sky Eater names and imagining the lost boy hang-outs and the mermaids and their role in what happens. 4. (--) Antagonists/Villains - So the pirates are supposed to hate the lost boys and want to kill them -- Hook in particular hates Pan because Pan doesn't have the aging disease and Peter took one of the kids from Hook to protect him. But Hook and the pirates never really felt dangerous. The lost boys never felt dangerous even when there was still mystery surrounding them. The Englanders were terrible but they didn't feel like the kind of antagonist that drives the story's problem. Plus what the Englanders were doing was a side plot, so it belittled them, made it hard to think of them as antagonists. All in all, I just sometimes didn't know who I was rooting against or really feel an urge to keep reading because I had to know what happened next. 5. (--) Plot - The worst part of the book. Reminiscent of how I felt about Shatter Me and Article 5 - nothing really seemed to happen in the story. It was a slow way of developing Tiger Lily and Peter Pan falling in and out of love, but there was very little that kept me going. 6. (+) the Romance - It wasn't hot or anything, but it was appropriate to the story. Peter Pan is also an interesting love interest - neither good nor bad, still somewhat mischievous... but he' s not magical, and he's very protective of the other boys who are with him... And all that makes him suitable for Tiger Lily - the two of them have an unquenchable thirst for adventure, are strong, and have to take care of other people. The way they exchange affection works for the image I have of Peter Pan and a wild girl who's reluctant to give into any demands. 8. (+) the Writing - Jodi Lynn Anderson is a really good writer, and it shows in her easy-to read yet sensual prose. 9. (--) the Pacing - It was consistently slow. Even though the synopsis hints that things will change when Wendy arrives, I didn't feel a rise in the stakes or an increase in the pacing. 10. (--) The Cover - I have a theory that Harper Teen only designs covers with girls in flowing/fancy dresses even when that doesn't represent the book. I do like that the dress looks like a flower, and that could be a representation of Tiger Lily blossoming into herself, but other than that, it doesn't seem symbolic of Tiger Lily. I've never read the original Peter Pan narrative so I can't tell you how the two compare or how someone who's read that would feel. 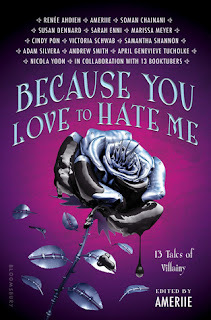 I liked the world building and the story I think Jodi Lynn Anderson was trying to tell, but this book wasn't my type of book--it went too slowly and didn't ultimately have enough original elements for me to really capture my attention.